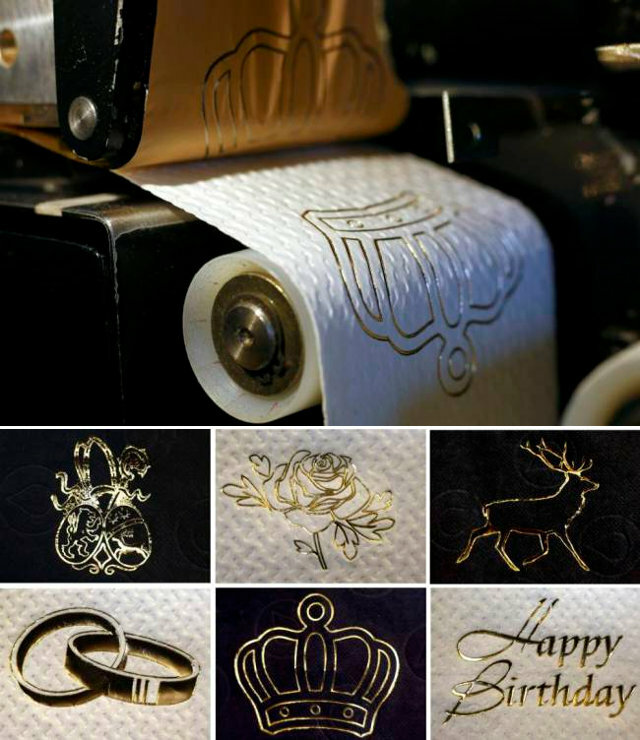 Toilet Paper Embossed With 24 Carat Gold | OhGizmo! Back in October of last year we wrote about a toilet paper roll made entirely from 22 carat gold that sold for $1.3 million. Now we bring you news of the poor man’s version of gilded toilet paper: a $246 gold embossed roll. To be honest, this product seems far more real than the other one, since you’re still looking at actual toilet paper. Each design is custom made by German Fritz Loibl for his company, Tissue Design in Grafenau, Germany. Once embossed, the roll is shipped to you, wherever you are.